104 mins. Rated PG-13 for sci-fi action violence. This is where it all begins. Remember when you saw Spider-Man or Batman Begins or even Iron Man. The Modern Superhero Revolution. 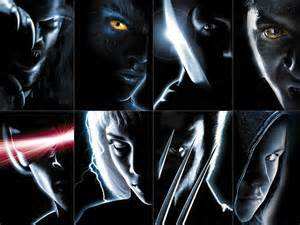 It all started 14 years ago when Bryan Singer brought together a star-studded cast and a great script from David Hayter. 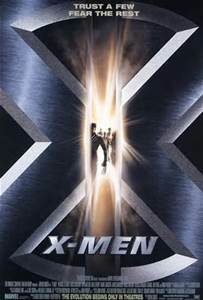 X-Men follows Logan (Wolverine) and Marie (Rogue), two lost souls in the near-future, as they team up with Professor X and his heroic team of mutants to stop Magneto from turning human beings into mutants like him. It is a more complex story than I originally expected, with a nice amount of twists and turns. This cast is one of the main reasons that this film not only succeeded, but also developed the superhero genre into more than cheese. 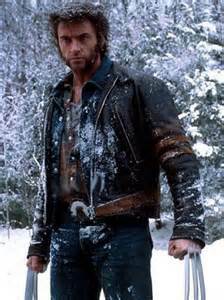 We have Hugh Jackman in his first portrayal as Wolverine, a character who be a staple on the franchise and appear in every installment. Logan is a complex character, and Jackman gets to flex those claws a lot more in later installments, but this is a nice introduction to the character. We get to see the softness in his relationship with Rogue (Anna Paquin, TV’s True Blood, The Piano). We also get a nice strong turn from Halle Berry (Cloud Atlas, The Call), still somewhat early in her career (we are talking pre-Bond girl Berry here), as Storm. Nice work should go to Famke Janssen and James Marsden as Jean Grey and Cyclops, respectively. Their relationship in this film offers some conflict to be mined, and Marsden is portraying Cyclops for crying out loud, not an easy sell, as the character could have just come off as silly. All these able performances are under the powerhouse work of Bromance buddies Patrick Stewart (TV’s Star Trek: The Next Generation, Ice Age: Continental Drift) and Ian McKellan (The Lord of the Rings trilogy, Stardust). These two classically-trained actors bring such depth to the characters of Professor X and Magneto. They carry the film and up the ante for future comic book adaptations. The soundtrack in this film is absolutely iconic now. I find myself humming it and getting pumped up at the same time, very nice work. The special effects do seem a bit dated, but there isn’t much to be done about that. This is a great start to a franchise and every single superhero movie since owes something to Bryan Singer’s incredible saga. You really feel like you know the characters from this original outing alone. Easily one of the most impressive superhero blockbusters of recent memory.